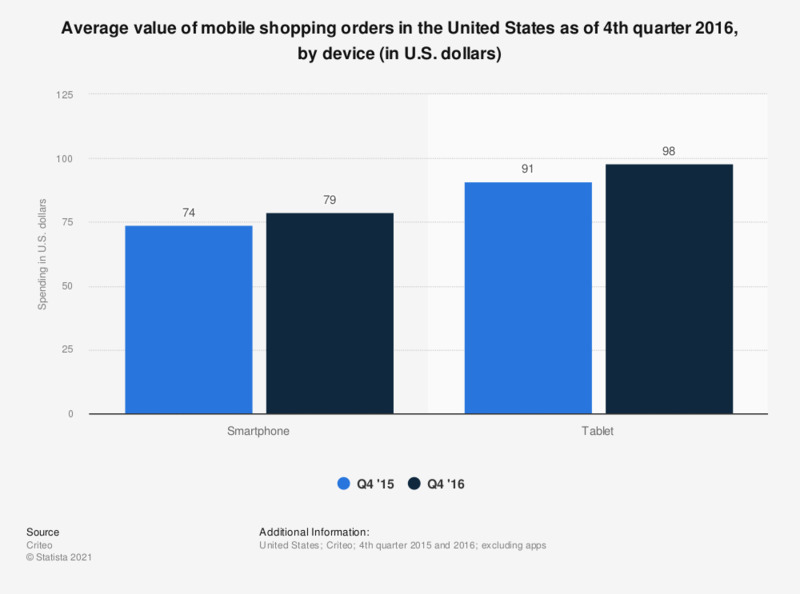 This statistic gives information on average value of mobile shopping orders in the United States as of the fourth quarter of 2015 and 2016, sorted by device. During the last measured period, the average spend per tablet e-retail transaction amounted to 98 U.S. dollars. The average desktop e-retail order value was 100 U.S. dollars.